Talk Like A Pirate Day has come and gone. Now it’s time to get your ninja on! December 5th is National Ninja Day, and it seems to have snuck up on us again. But don’t worry! 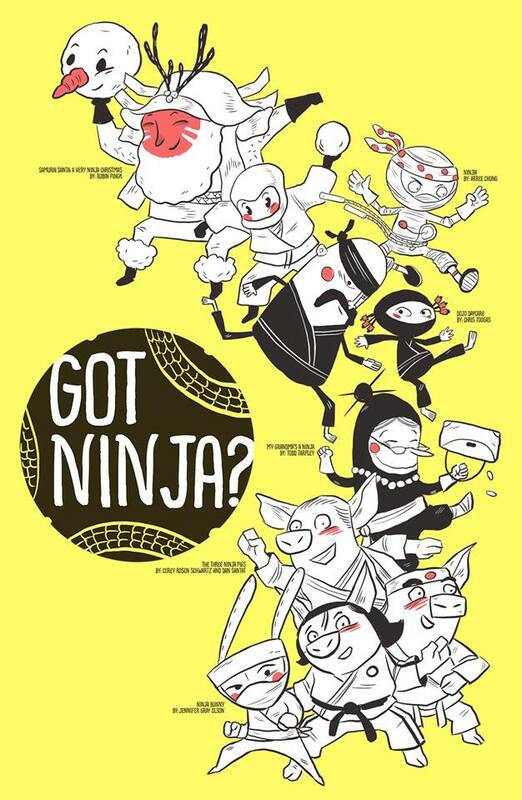 Six of your favorite ninja book authors are uniting to provide a sneaky good story time kit. Corey Rosen Schwartz (Three Ninja Pigs, Ninja Red Riding Hood) has joined forces with Jennifer Gray Olson (Ninja Bunny), Rubin Pingk (Samurai Santa: A Very Ninja Christmas), Todd Tarpley (My Grandma’s a Ninja), Arree Chung (Ninja!) 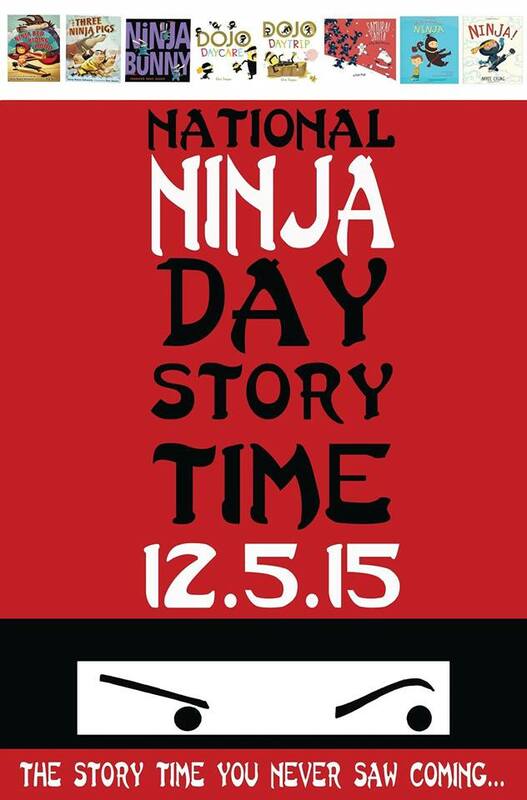 and Chris Tougas (Dojo Daycare) to provide a ninja kick infusion to your National Ninja Day celebration. 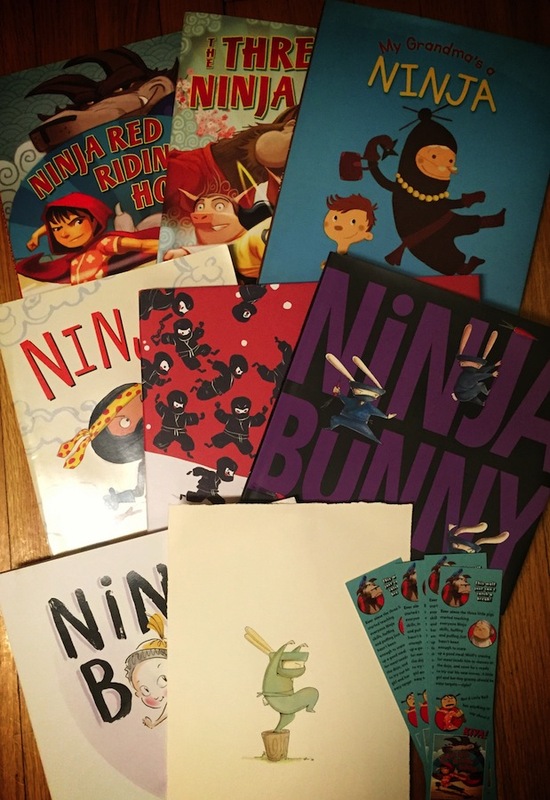 Bookstores, libraries and parents can sneak on over to our Celebrate Ninja Day Story Time page to download a ninjariffic story time kit featuring an activity packet, ninja reading list, ninja nametags and more! Follow @NinjasRead on Twitter for year-round ninja goodness from this growing list of ninja book authors. Enter to win a Ninja Day giveaway prize pack from our team of ninja book authors. Yikes! I can’t ell if I just entered or NOT! Though I DID visit the FB page, LIKED it, and left a comment or two… Does that mean I’m in?